My Three is still working at counting 1-10. While he can do the rote counting without any trouble, he struggles to count groups of objects past 5. And he still confuses the 6 and the 9. 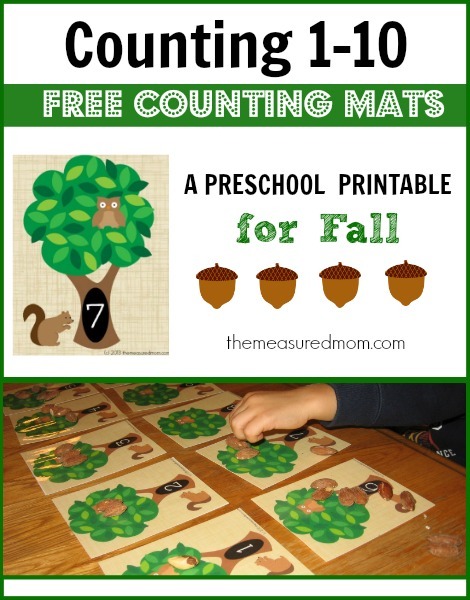 So since we’re studying the letter N, and because it’s Fall, it felt like the right time to create some counting mats which he could use with nuts. 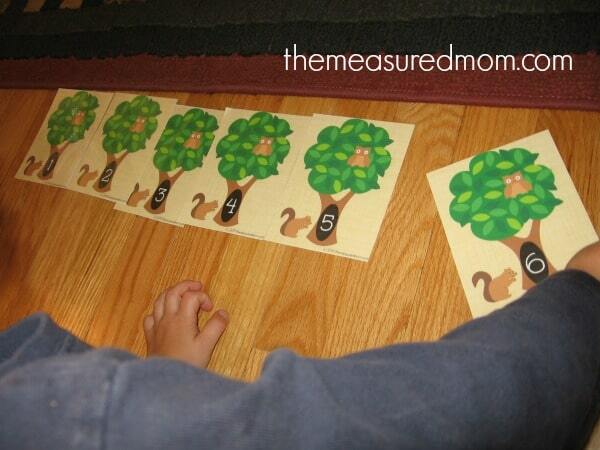 I used my Fall clip art from goodnessandfun to create these simple counting mats. I laid them out on the table at snack time and gave my Three a pile of almonds. 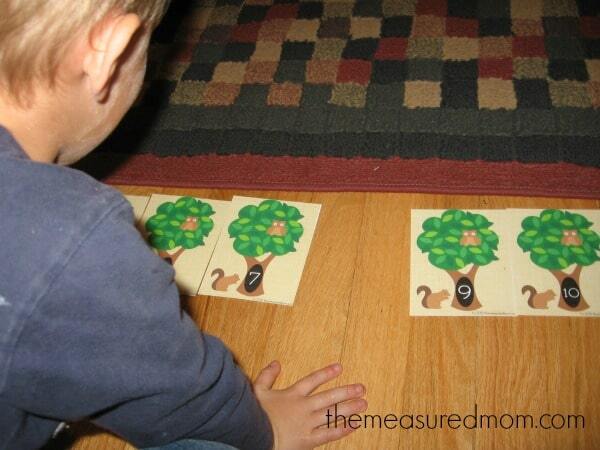 He counted out the nuts and placed the correct number on each mat. He needed some guidance as he tended to skip over numbers as he counted. 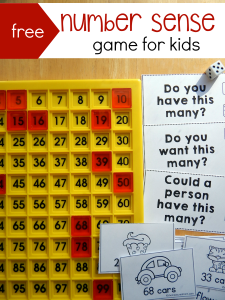 This kind of thing is great for practicing one-to-one correspondence. When he was done, he got to eat some of the nuts. Because he really didn’t need 55 almonds. So far, we’ve been blessed to not have any food allergies in our house – obviously if that’s an issue for you, you could use raisins, grapes, pretzels, or something non-edible like gems or buttons. On another day, we pulled out the mats again and used them in different ways. I gave him the mats and asked him to put them in order. He needed some help getting started, and each time he was ready for a new number we needed to re-read the numbers from the beginning. Then he was able to figure out what number came next and pick it out from the pile (except for that tricky 6 and 9!). Finally, he closed his eyes while I took a card. Then he had to figure out the missing number. Again, we counted up from the beginning, pointing to each number as we went. He had a lot of fun with this and loved taking the number away for me to guess what was missing. © 2013 – 2016, Anna G. All rights reserved. I have a friend who is going to deliver in December. 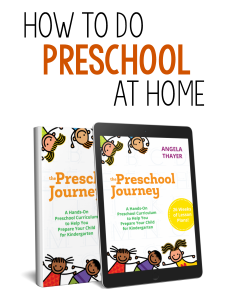 She is looking for activities for her 8 and 3 year old that can give her a little break. Can I print these for her and take care of all the prep for her. Does that violate copyright? There’s a lot of your printables that would help her. Yes, I want a set for my house too! Thanks for asking, Angie! It’s no problem to print out my items, prepare them, and give them to someone else as a gift. I appreciate the advertising :). 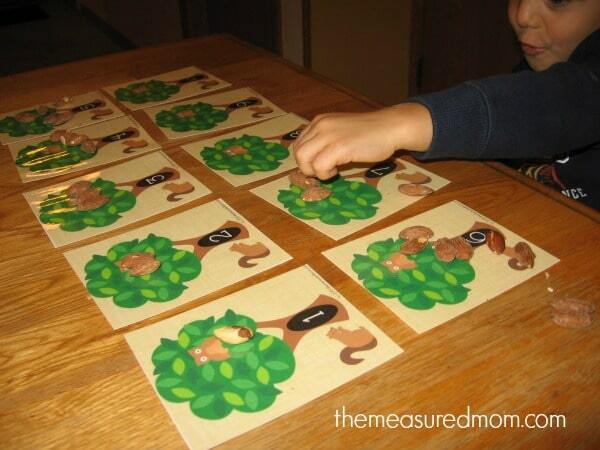 I remember when my son was that age and had trouble with the letter N. This is such a fun and creative way to “sneak” in some learning fun with that tricky letter. 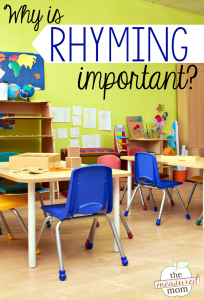 Thank you for linking up and sharing this week on the Thoughtful Spot Weekly Blog Hop! Thanks for your thoughtful comments, Jill! 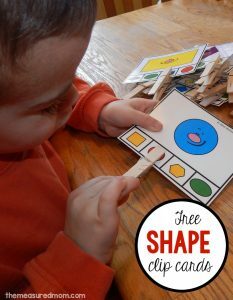 This is such a fun activity and free printable! 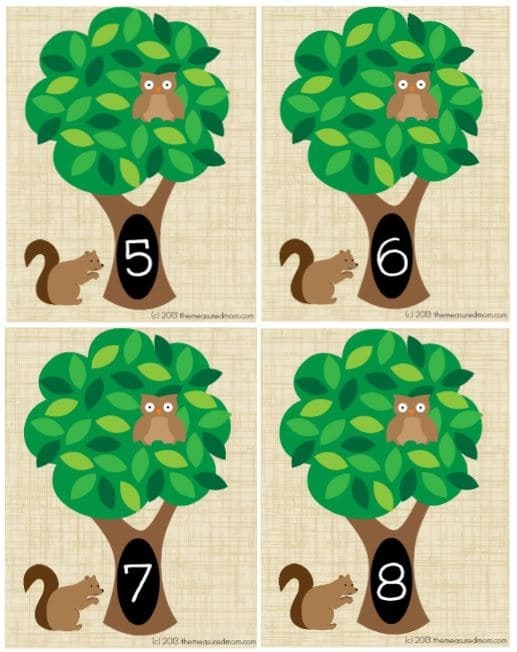 What a fun way to practice counting to 10!! 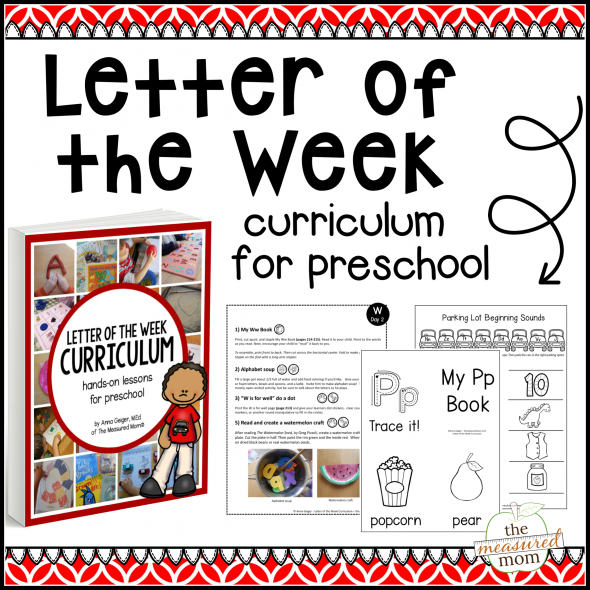 You always come up with such great ideas & printables. I featured this at TGIF today. Thanks for linking up and sharing with all of us!! Thanks for these printouts. When I printed them trees 9/10 are a lot small than the rest. Can this be fixed somehow? Did I do something wrong?